This October will see the release of Star Wars: From a Certain Point of View. 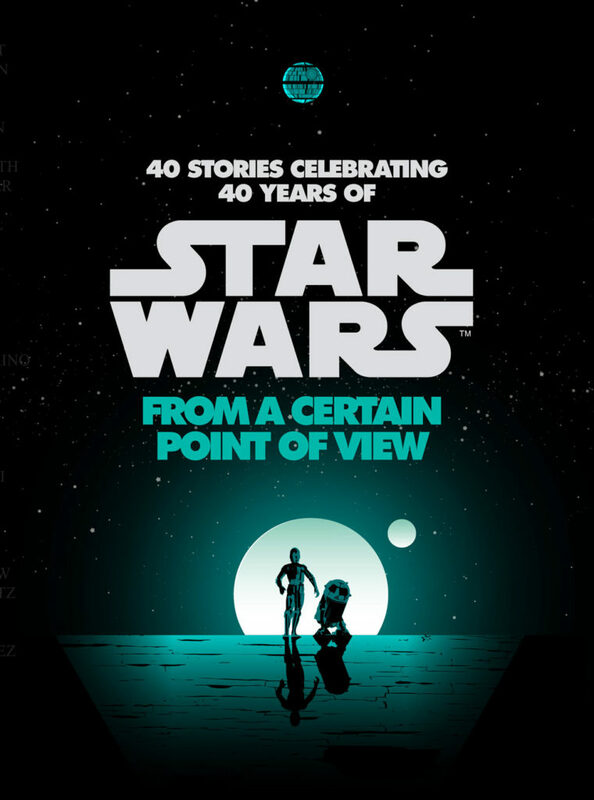 This book by publisher Del Rey and 40-odd writers will chronicle the events of the very first Star Wars movie, but with a twist: Every scene will be witnessed from the mind of one of the film’s smaller characters. I’d like to take a look at some characters that could provide interesting perspectives. Note that this article is entirely speculatory in nature. It would certainly surprise me if none of these came to pass, but there’s some definite long shots in here. You might know him as “launch guy”. The only rebel to witness the terrible slaughter by Darth Vader at the end of Rogue One and escape to tell the tale. Not long after he hands over the Death Star plans to his superiors though, Vader’s Devastator will catch up to the Tantive IV. As the only person who’s fully aware just how scared the ship’s crew should be, he would provide the perfect viewpoint to set the tone for a very different retelling of A New Hope. Although this chapter in particular wouldn’t be all too hopeful. With John Jackson Miller (Kenobi) on writing duties for a chapter, it’s only natural that one’s mind would wander to this old space wizard. It’s always great to read about Obi-Wan’s emotional struggle between protecting Luke and going out into the galaxy where he could make a difference. With Imperial Star Destroyers on the horizon and Luke lost out in the desert, Ben realizes the time for action has finally come. It’ll be a joy to witness the playful Kenobi of old re-emerge inside Ben’s crooked bones. This one I never would’ve dreamed possibile if it weren’t for a curious combination of authors: Ahsoka author EK Johnston and voice of Ahsoka, Ashley Eckstein, are joining forces for a chapter. 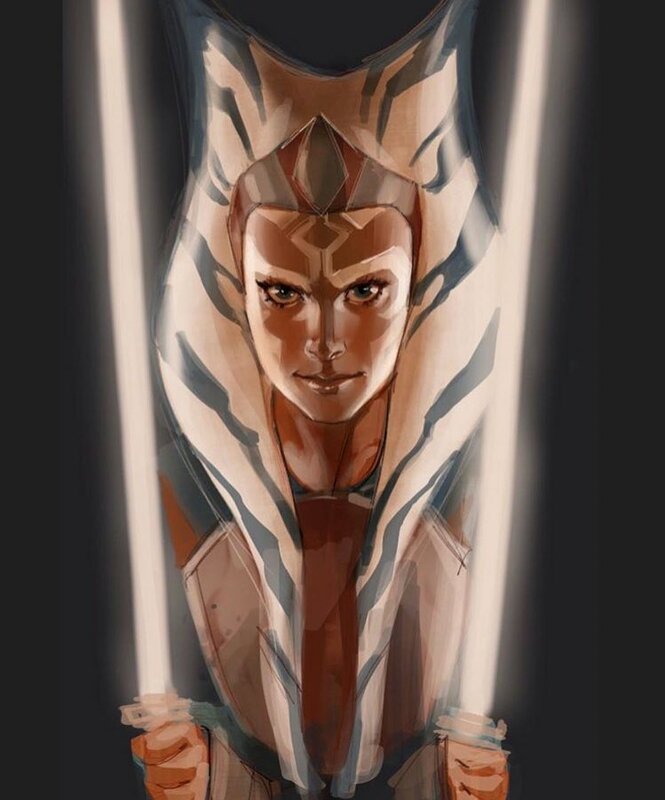 They could very well be writing someone entirely different… But Ahsoka, in whatever ethereal form she’s in, reaching out to Ben Kenobi and maybe gu iding him on his way a bit would be a sight to see. It would give one of the biggest and most fleshed-out expanded universe characters a direct influence on the events of the original movie. She deserves no less. Let’s face it… Star Wars has got a real problem with mums. Between Beru, Padmé, Leia, and Lyra, we’ve got perhaps ninety solid seconds of parenting in all eight films combined. Sure, she died in the film, and so she has to die in this book. But please don’t let Beru go out again without making clear her love for the only son she ever knew. Remember, one day some old hermit stood on her doorstep and shoved the kid of her husband’s estranged stepbrother in her hands… And yet she took care of Luke as if he were her own flesh and blood. Make us see just how much Beru loves her teenage baby. 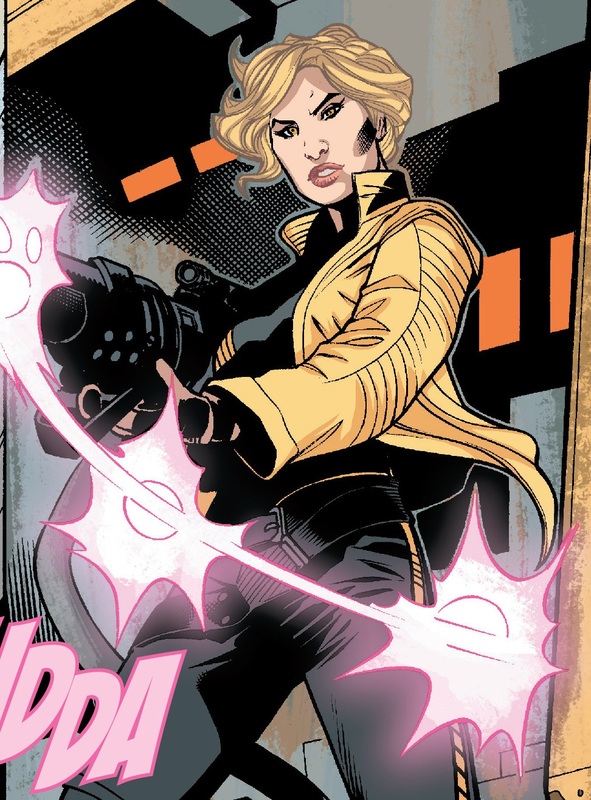 Make us watch her stand up to her Imperial assaulters. And make us see how she goes down in a blaze. We’ll never look at a Beru scene the same way again. 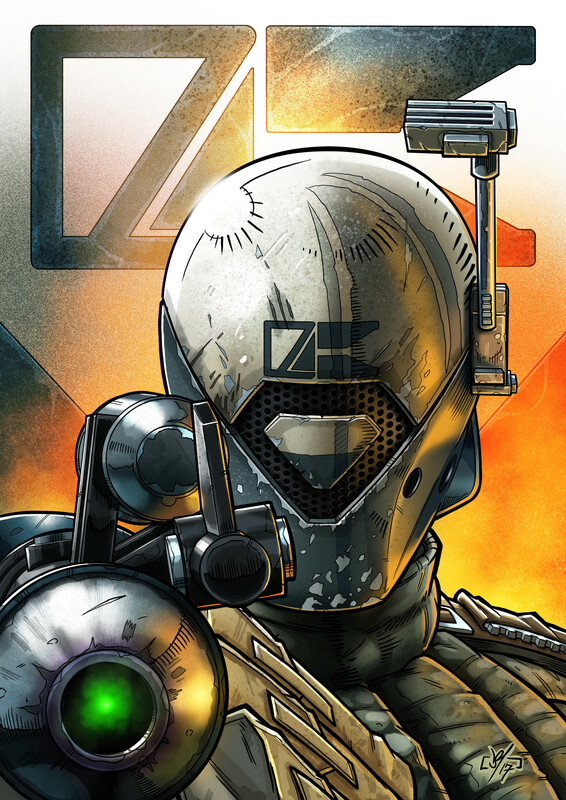 The Rogue One visual guide weaved an interesting tale about Tam Posla, a bounty hunter out for justice. He tracked a horrifying surgeon and his compatriot to the spiritual world of Jedha. His targets apparently escaped his grasp though, as they appear in the Mos Eisley Cantina to stir up trouble for young Luke Skywalker. It’s not unthinkable to imagine that Tam tracked his prey to Tatooine, where he witnesses a frail old man do his job for him. After Kenobi sends the wounded Dr Evazan and Ponda Baba packing, Tam easily catches up with them and finally delivers them to justice. Unknowingly, Ben Kenobi has performed his first act of heroism in the Galactic Civil War. Who better to finally settle the debate of who shot first than the guy that never got a shot off? Or was it the guy that missed at point blank range? Regardless, Greedo is an alien with hopes and dreams, not just a prop for Han Solo to look cool next to. We probably shouldn’t sympathize with him too much, but honestly… Anyone willing to look Harrison Ford in the eye while threatening him with a gun is probably worth investigating. This one I’ll be genuinely disappointed by if it doesn’t happen. In 40 years, we’ve never gotten a good look at Alderaan. This is the perfect opportunity to make it more than just the planet Leia’s sad about. Bail Organa is off to Alderaan to gather allies in the upcoming fight against the Empire’s rumoured planetkiller… But as the chapter ends, the Death Star appears on the horizon. Bail knows he’s a goner. Moreover, he is positively sure and desperately sorry that his efforts to fuel the Rebellion are what madehis home planet a prime target for the Emperor’s greatest weapon. The prince of Alderaan closes his eyes and begs for forgiveness. Come on Del Rey… Make us bawl our eyes out. I dare you. Luke Skywalker. Wedge Antilles. The two brave Rebellion pilots that stood up to a moon-sized space station and lived to tell the tale. Who can rival their bravery? Well.. Maybe the third and last person to walk away from that space battle. A person who fought a hard battle over Scarif not much earlier. And who just heard that the same space station that opposed her in those two skirmishes just blew up her home planet. I don’t know about you, but that sounds like the ultimate badass to me. Unfortunately, this part of Evaan Verlaine’s history has gone largely unnoticed so far. It’s time for the galaxy to know the pilot that keeps saving it! So there you have it. Eight characters that could provide a new viewpoint and hopefully change the way you watch A New Hope. Have your own suggestions? Please let me know on Twitter or in the comments! Tam Posla illustration courtesy of Daz Pibbles on ArtStation.